Build a free-standing fireplace to create warmth in your backyard. You will find yourself constantly gathering with friends and loved ones to enjoy the natural beauty of fire. Follow these instructions to build a free-standing fireplace. Fireplaces provide great family time. Choose an area for a fire pit. You want clearance no less than five yards on every side of the fireplace. Remember to check for overhanging trees when considering a location. Dig the pit. A good size to strive is at least 40 inches in diameter and a foot deep. Place large rocks, bricks or stone pavers around the edge of the pit. Place rough gravel at the bottom of the pit. You may also want to pour sand into the pit as well. Construct a fireplace for the pit using masonry material. The firebox should be made using firebrick or refractory mortar. 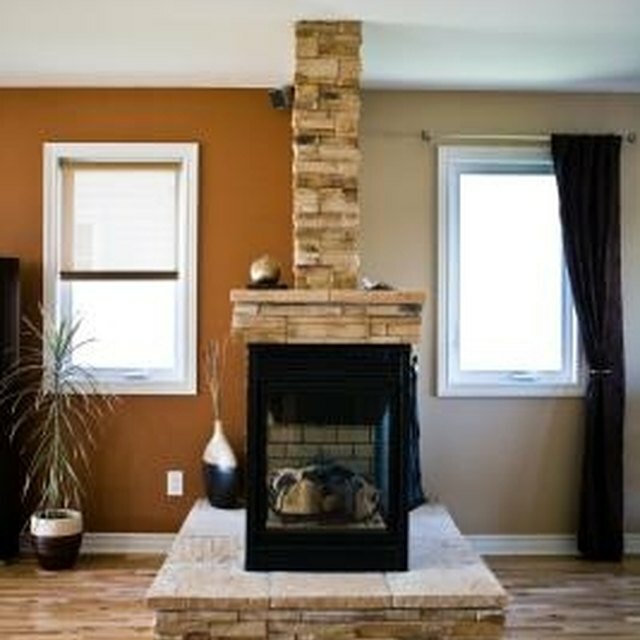 You can use cinder blocks for your fireplace. Cover the exterior with stucco to enhance the beauty of the fireplace. When constructing the chimney, make it about 10 percent the size of the fireplace opening. Finish by adding a seating area a few yards from the fireplace. See the references for design ideas.